^ a b c d e f g h Heppenheimer, T. A. (1998). The Space Shuttle Decision. 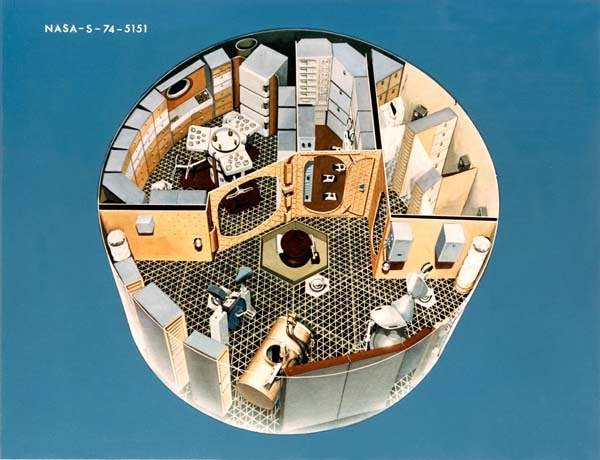 NASA publication SP-4221. http://history.nasa.gov/SP-4221/contents.htm. ^ a b c d e f g h i j k l m n o p q r s t u v w x y z aa ab ac ad ae af ag ah ai aj ak al am an ao ap aq ar as at au av Benson, Charles Dunlap and William David Compton. 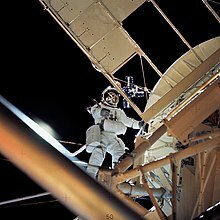 Living and Working in Space: A History of Skylab. NASA publication SP-4208. ^ Bono, Phillip; Gatland, Kenneth (1976). Frontiers of Space (First American Revised ed.). New York: MacMillan Publishing Co., Inc.. p. 121. ^ a b c d e f g h i j Belew, Leland. 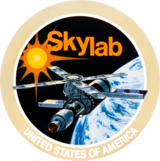 F. (editor) Skylab, Our First Space Station NASA publication SP-400. ^ Belew, Leland F.; Stuhlinger, Ernst. 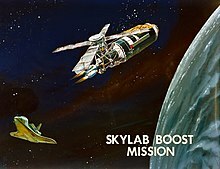 SKYLAB: A Guidebook. NASA. pp. 24–28. 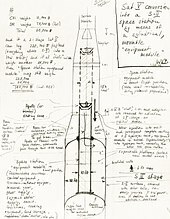 http://history.nasa.gov/EP-107/contents.htm. 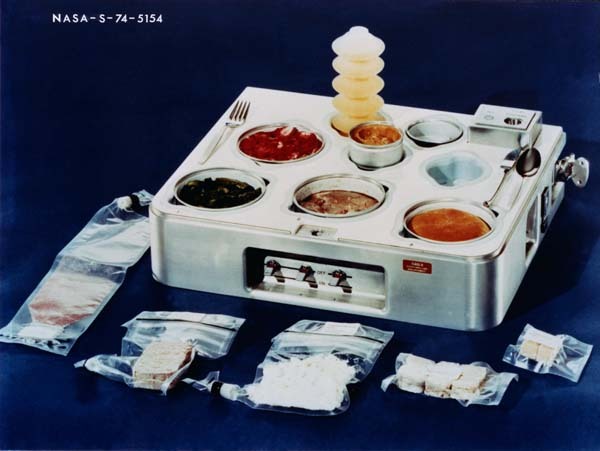 ^ a b "Living It Up in Space" Time, 25 June 1973. 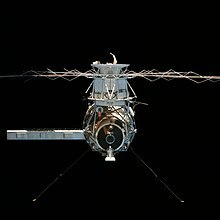 ^ a b c d e f g h i j k l m n o p q Skylab Reuse Study. Martin Marietta and Bendix for NASA, September 1978. ^ "Darts Game, Skylab" Smithsonian National Air and Space Museum. ^ a b c d e f Oberg, James. 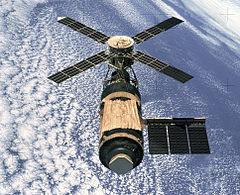 "Skylab's Untimely Fate". Air & Space, February/March 1992. ^ a b "Science: Skylab Will Come Tumbling Down" Time, 1 January 1979. ^ a b Edelson, Edward. "Saving Skylab: The untold story" Popular Science, January 1979. ^ a b c d e f g Lewis, Richard S. (1984). The voyages of Columbia: the first true spaceship. Columbia University Press. pp. 80–82. ISBN 0-231-05924-8. https://books.google.com/books?id=v0cG1SdLkP0C&source=gbs_navlinks_s. 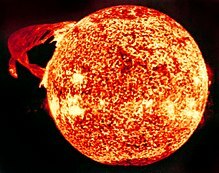 ^ a b c d "Skylab's Fiery Fall" Time, 16 July 1979. ^ , Boca Raton News, Chicago Tribune (Florida), page 7, July 1, 1979. ^ a b Don L. Lind oral history transcript, NASA Johnson Space Center Oral History Project, 27 May 2005. ^ O'Neill, Ian . 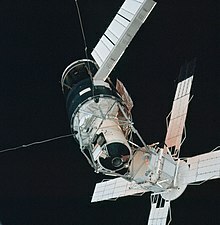 "Celebrating July 13, "Skylab-Esperance Day"" Discovery News, 19 July 2009. ^ Hannah Siemer. " “アーカイブされたコピー”. 2012年7月11日時点のオリジナルよりアーカイブ。2009年4月26日閲覧。 ". The Esperance Express, 17 April 2009. ^ Paul Sutherland. "". Skymania News, 5 July 2009. ^ Lafleur, Claude (2010年3月8日). “Costs of US piloted programs”. The Space Review. 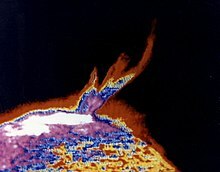 http://www.thespacereview.com/article/1579/1 2012年2月18日閲覧。 See author's correction in comments section.